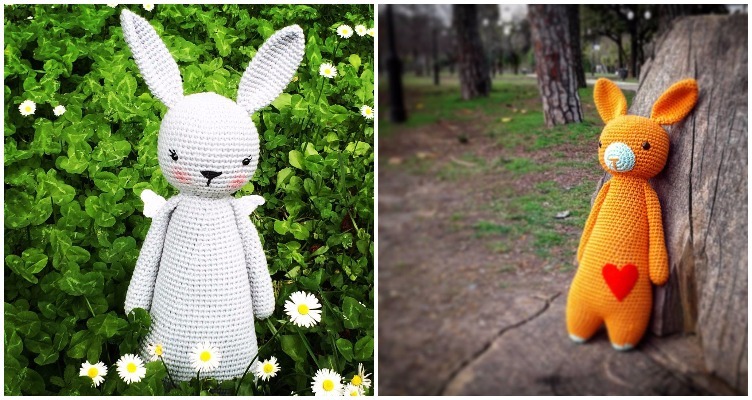 These rabbits were made by valea80 and elu_tejidos_con_amor on Instagram. Pattern by Little Bear Crochets. The second way to tailor the size, is to add or skip rounds while you’re in the process of crocheting. This is a great way to alter only certain parts of a pattern, but it is a little more advanced. Be sure to not skip any rounds that are essential for the structure of the amigurumi doll. Generally, these rounds can be spotted by watching for special techniques like increases, decreases or other advanced stitches. It’s easiest to add or remove rounds in which the guideline says to ‘sc around’. Be aware of a potential repeating design though! If a pattern has a certain sequence of ‘sc around’ rounds alternated with structure-essential rounds, pick up on the algorithm and make certain the ratio stays intact to prevent drastic changes in the doll (unless that’s what you’re going for, of course!). After trying it a few times, you’ll get the hang of it. 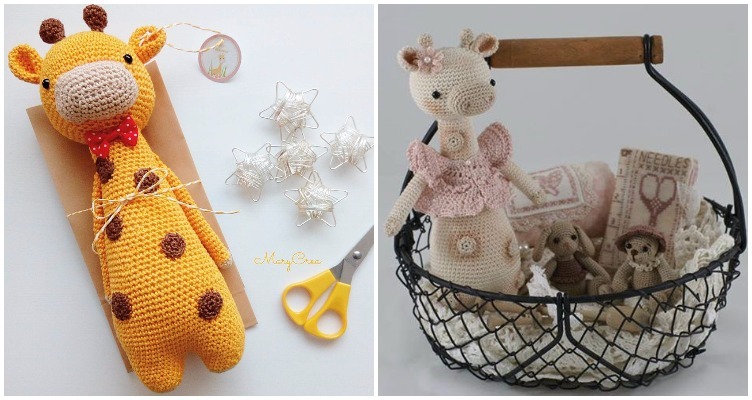 These giraffes were made by mariabocci and createdbyhilda on Instagram. Pattern by Little Bear Crochets. 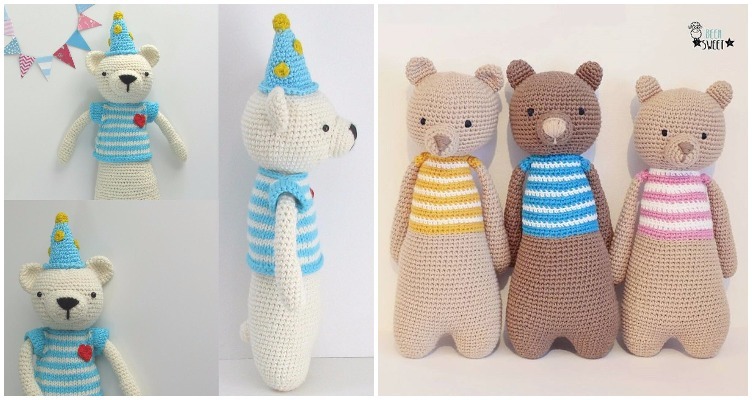 These bears were made by cotuitbayknitter and beehsweet on Instagram. Pattern by Little Bear Crochets. 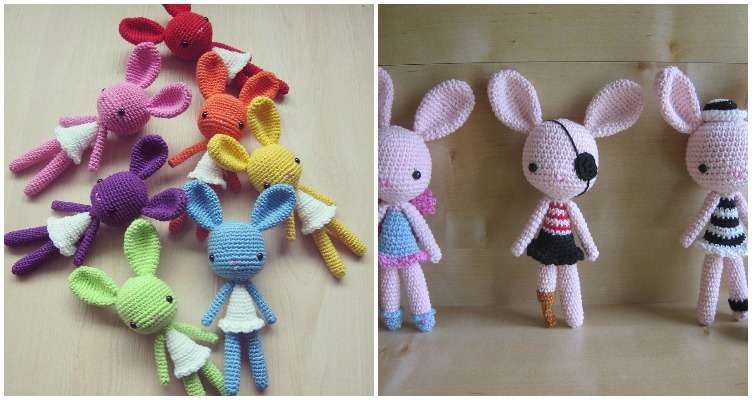 If you don’t mind crocheting a little extra, you could even add accessories to your amigurumi friend. Some ideas are bow ties, hats, skirts, bags or even eye patches if you prefer your plushies to pursue a career in pirating. Many of these types of additions can easily be improvised if you have been crocheting for a long time. 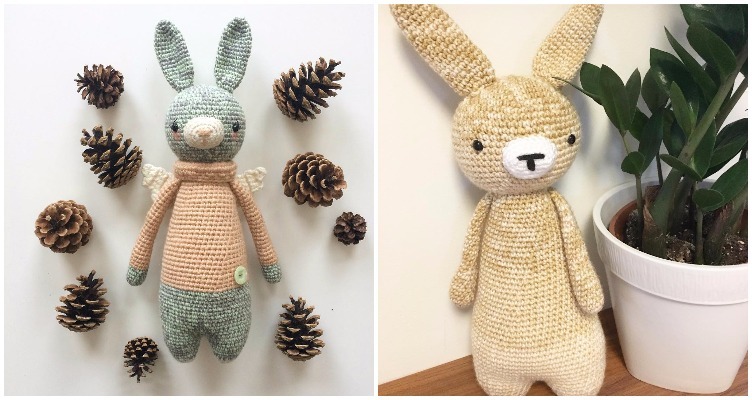 If you’re not that handy with yarn yet, you can turn to Google or other patterns you already own to spot some nice little decorations for your toy. These rabbits were made by varblas and grevvysvirkning on Instagram. Pattern by Little Bear Crochets. 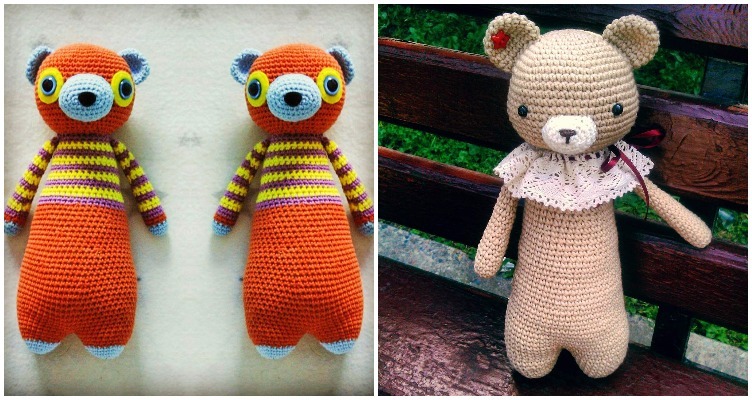 These bears were made by mommivabrik and lisejshaya on Instagram. Pattern by Little Bear Crochets. If you have made something wonderful out of a pattern, be sure to show us. Comment below and tell us about it! Be sure to give credits where they are due, and don’t forget to show the pattern’s designer your own project as well. As a designer myself (you can find my patterns at www.littlebearcrochets.com), I can honestly say that it is a lot of fun to see everyone’s personal spin on a pattern!